Renault has a new electric-car web site. The automaker’s partners include Nissan and—more intriguingly—Bay Area-based Better Place, with which it intends to partner on battery-charging stations. And Renault wants to produce a range of 100% electric vehicles, rejecting the current business model of playing up one marquee flagship car (i.e. Prius, Insight, Volt). Their Z.E. 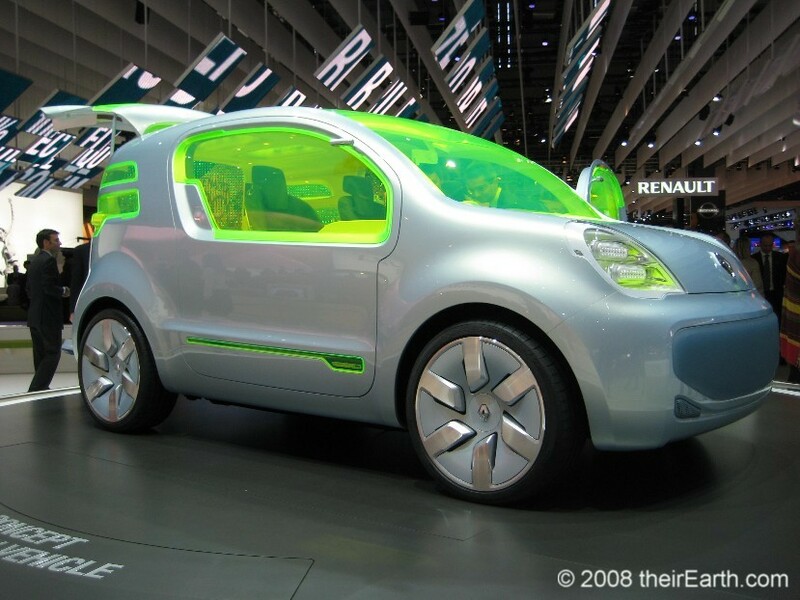 (as in “zero emissions”) concept car is greener than green, far beyond the electric motor. We’re digging the acid-green, neon windows, which help provide insulation and save energy, and temperature-regulating solar panels. Voiture électrique? We say, toss in a baguette and bottle of Bordeaux, and we’ll give it a shot. Seriously, though: It’s fascinating to see the electric vehicle market begin to take shape internationally. You are currently browsing the archives for the better place category.